Have you always wanted a Lumia Batphone ever since viewing my unboxing video of the Lumia 800 - The Dark Knight Rises Edition? Well you are in luck. 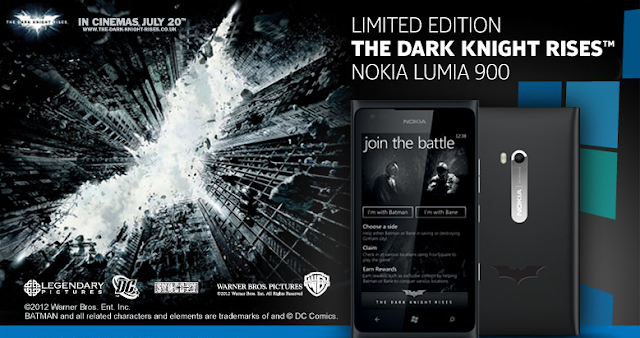 Nokia has announced the Lumia 900 - The Dark Knight Rises Edition. Bruce Wayne's phone is now available for pre-order now via Phones4U and will come laser etched with the Batman emblem on the back, just below the camera chrome strip. If you are in the market for a Windows Phone, there hasn't been a more coveted phone on the market.